Plus size children and teens need fashion too, yet clothing in larger sizes for the younger crowd can be especially difficult to find. Lots of Girls 7-16 Plus and Boys 8-20 Husky sizes are available. Large assortment of special sizes are available. Fun, fashionable plus size girl's clothing. 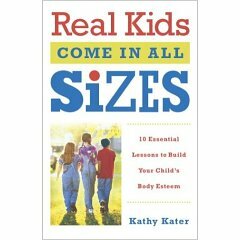 This book directs parents who want to help their plus size children to be comfortable in their developing bodies and resist damaging cultural messages.